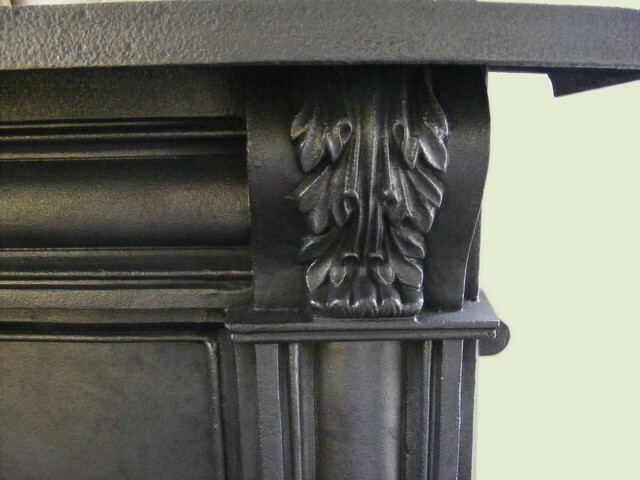 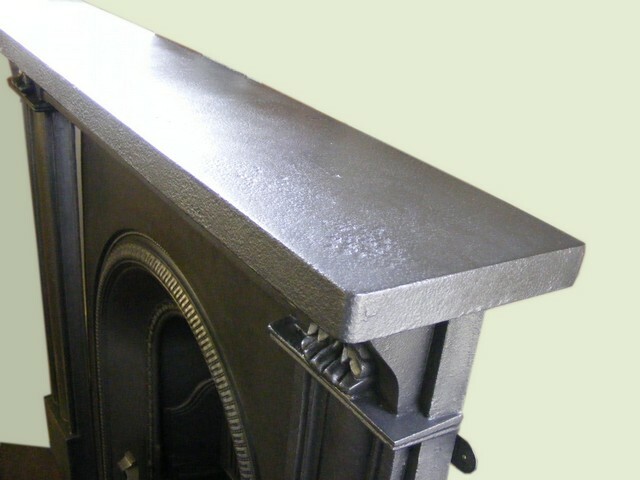 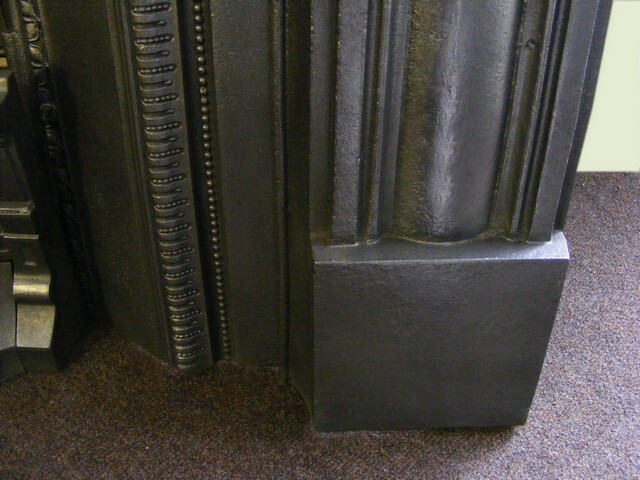 Victorian cast iron fire surround (ACS-1408) An early Victorian Cast iron surround with reeded frieze and legs terminating at a pair of acanthus corbels, fully restored, a nicely proportioned chimney piece that would be ideal to surround a stove or basket fire. 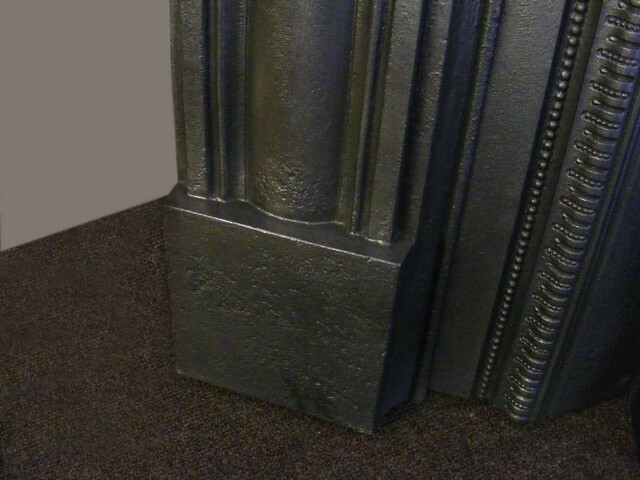 Measures 51”wide x 47”high with an opening 29.5”wide x 35”high. 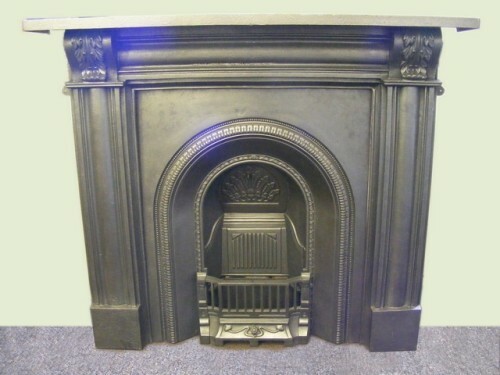 Priced at £800.00. 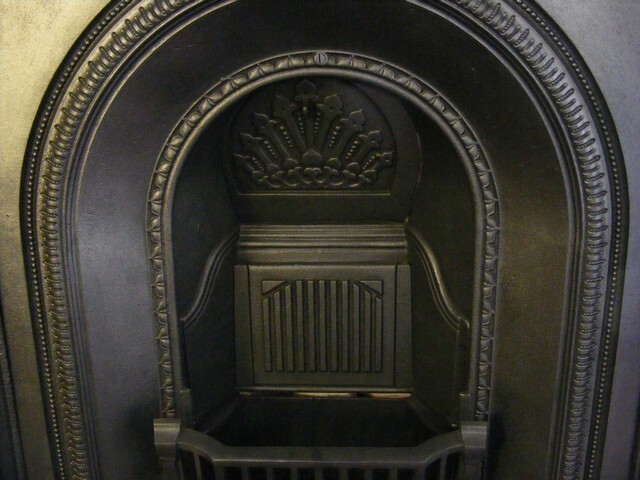 Victorian arched insert (ACI-1409) A petite Victorian arched fireplace, fully restored and complete with a new fireback. 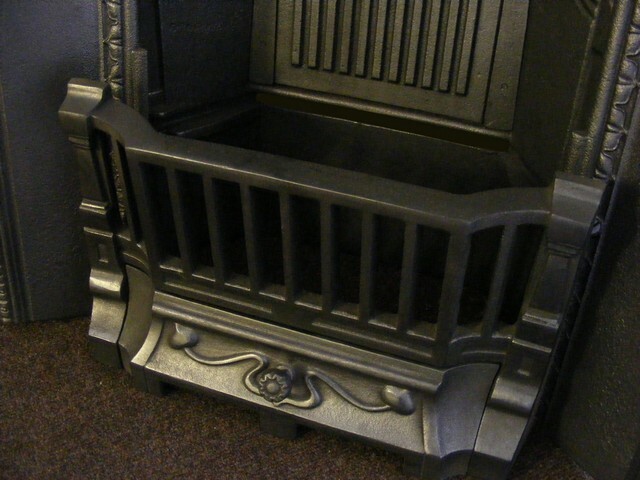 Measures 30”wide x 36”high with a 14”fire opening. Priced at £300.00.